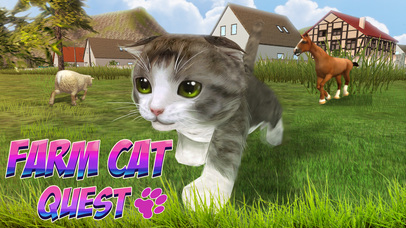 Be a cute kitten in Farm Cat Simulator: Animal Quest 3D! Run a kitten pet and explore a farm in the simulator! Make troubles with your kitten, smash everything and do quests! Complete funny cat missions, but beware of not cute dogs! Earn coins and get pet levels. Use easy simulator's controls to run and have fun! Be a real cat - eat mice, drink milk and sleep! 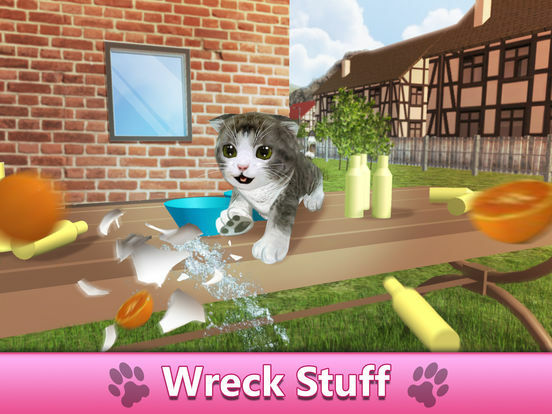 Let your kitten to smash, crash and drop in the pet simulator. Do quests and if you meet dog - Do what cute cat and dog usually do! 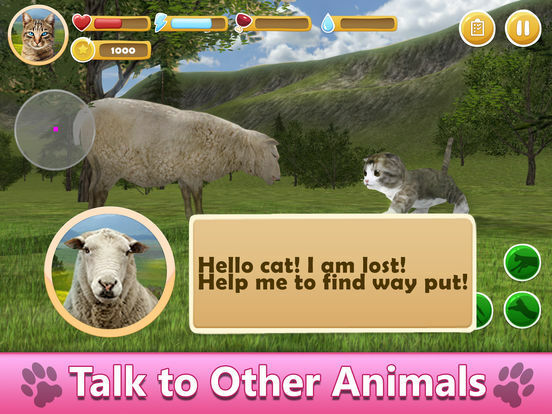 Enjoy 3D Farm locations, chat with other animals and do their tasks. To be cute pet or not - it is your choice. Play with your kitten, find who stole your fish friend! Find mice and let your pet eat them. Try cute cat's quests. They are fun! Challenge yourself in the cute cat simulator. Sometimes be a cute kitten is not so easy, but your pet can do it. Fell like a real cute kitten, but beware of the dog! Interact with objects, destroy them all in the pet quest. Solve all magic mysteries of the farm. But be prepared - the forest near the farm is full of hungry predators! 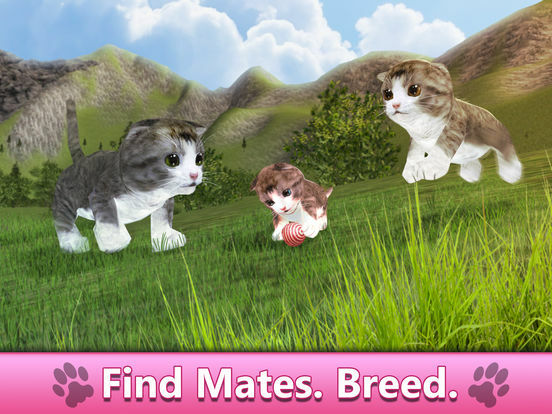 Upgrade your cat and make a family to be stronger in the simulator. follow the quests story line, find other characters and do their tasks. We love cute pets: cats and kittens! We know what kittens like to do. Make a mess and do quests in pet simulator! But they are still so cute. Even when they run from dogs! Special cat controls allow you to lead your cute kitten pet anywhere. Have you ever dreamt to have a pet - a kitten or a dog? Get it in our pet quest. Spend all you day with cute kitten! 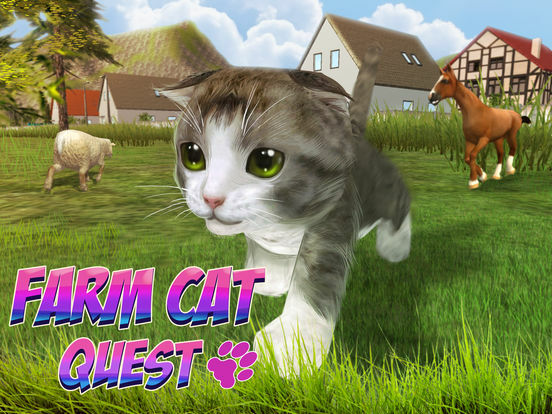 Play Farm Cat Simulator: Animal Quest 3D all day! Enjoy being a cute kitten and do quests. Army Truck Offroad Simulator 3D - Drive military truck! Army Truck Offroad Simulator 3D Full - Drive military truck! Big Blue Whale Survival 3D - Try whale simulator, be ocean animal! Big Blue Whale Survival 3D Full - Try whale simulator, be ocean animal! Black Wild Panther Simulator 3D - Be a wild cat in animal simulator! Black Wild Panther Simulator 3D Full - Be a wild cat in animal simulator! Cat Simulator: Cute Pet 3D Full - Be a kitten, tease a dog! Fantasy Dragon Simulator 3D - Be the magic animal! Forest Owl Simulator - Be a wild bird! Forest Owl Simulator Full - Be a wild bird! Offroad Logging Truck Simulator 3D Full - Drive and transport cargo! Orca Killer Whale Survival Simulator 3D - Play as orca, big ocean predator! Orca Killer Whale Survival Simulator 3D Full - Play as orca, big ocean predator! Winter Offroad UAZ Simulator 3D - Drive the Russian truck! Winter Offroad UAZ Simulator 3D Full - Drive the Russian truck!